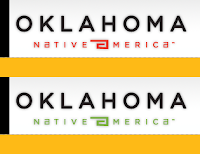 Oklahoma's "official" online persona is pretty dry. Our state's home page could best be described as Welcome to Nineties. Which is an improvement over the previous version, that looked like something created using Windows 3.11. But our tourism and recreation office has been a refreshing exception to that trend. A recent overhaul of TravelOK.com offers would-be visitors videos, blogs and articles about a variety of unique destinations that await them in the Sooner State. Yes, even Mid-Century Modern. You know it's gone mainstream when you find an article titled Mid-Century Cool in Oklahoma City on the state travel website. Seriously, it's a helpful article with a good list of notable buildings in The City.